The LiRo Group’s Virtual Design, Construction and Operations (VDCO) team was awarded second place in the Infrastructure category of Autodesk’s prestigious AEC Excellence Awards for its revolutionary work on the Metropolitan Transportation Authority Capital Construction Division’s $10.2 billion East Side Access project. East Side Access is currently the largest transportation construction undertaking in the United States, and one of the largest and most complex projects ever embarked upon in New York City. Rendering courtesy of The LiRo Group. The LiRo Group’s Virtual Design, Construction and Operations (VDCO) team was awarded second place in the Infrastructure category of Autodesk’s prestigious AEC Excellence Awards for its revolutionary work on the Metropolitan Transportation Authority Capital Construction Division’s (MTACC’s) East Side Access project. East Side Access is currently the largest transportation construction undertaking in the United States, and one of the largest and most complex projects ever embarked upon in New York City. The AEC Excellence Awards recognize global projects that embrace Building Information Modeling (BIM) technologies and sustainable design in architecture, engineering, and construction. For the 2017 awards, the jury – comprised of highly regarded members of the architectural, engineering, and construction BIM community – had their work cut out for them: the competition received 145 entries from more than 30 countries. The LiRo Group (LiRo) is a multidisciplinary construction and project management, engineering, and architectural design firm headquartered in Syosset, New York and operating nationwide. Engineering News-Record magazine currently ranks the firm as the 15th-largest construction manager in the United States. LiRo, in a joint venture with Jacobs Engineering Group, has been serving MTACC as construction manager for the East Side Access project since 2008. The LiRo Group’s VDCO is serving MTACC under a separate contract to provide BIM and visualization services for East Side Access. “LiRo recognized the value of BIM in streamlining and accelerating project delivery early on. Our VDCO team has been supporting clients since 2010, and today is one of the leading BIM providers in the United States, in both the public and commercial markets. In addition, LiRo’s BIM team is at the forefront of the global innovation effort as a developer of new visualization and data-management solutions. I am very proud of the 2017 AEC Excellence Award as a recognition of the tremendous value our BIM professionals provide to clients,” said Louis M. Tormenta, P.E., The LiRo Group’s CEO and Vice Chairman. Lennart Andersson, Director of LiRo VDCO and LiRo’s Senior Associate Vice President, accepted the award before an audience of attendees from around the world at the Autodesk University Conference in Las Vegas, on behalf of the entire VDCO team. 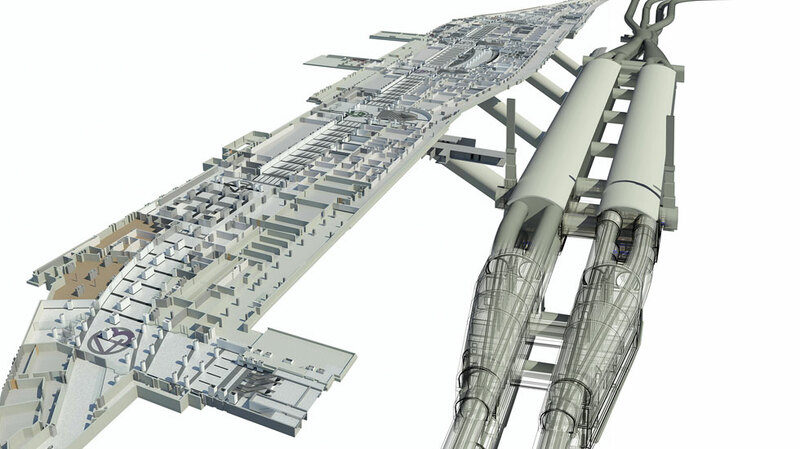 “With over 150 interconnected models and spanning four-and-a-half miles, the East Side Access visualization program has to be one of the largest – if not the largest – integrated BIM projects in the world,” said Andersson. “Further, by connecting data with geometry, and delivering the BIM system to all project participants, we’ve enabled team members to make better-informed decisions while significantly reducing risk. It has revolutionized how East Side Access is being built. We’re grateful that Autodesk has recognized our progressive work,” he continued. The massive, nearly $10.2 billion East Side Access project will bring Long Island Rail Road (LIRR) service to eight new train platforms and a new eight-block-long, 350,000-square foot passenger concourse approximately 150 feet beneath Grand Central Terminal. This marks the first expansion of the LIRR in over 100 years. When complete, East Side Access will serve approximately 162,000 customers a day, saving each of them up to 40 minutes’ time on their commutes, and significantly reducing overcrowding at Penn Station and relevant west-side subway lines. 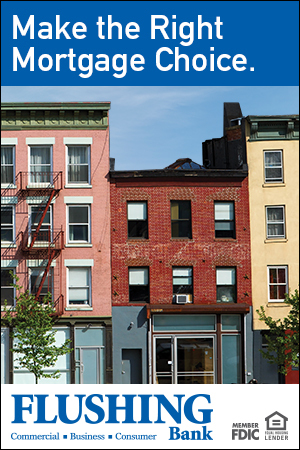 The scope of work includes the construction of new tunnels under Manhattan; the construction of five massive, 10-story-high ventilation buildings; the refurbishment of existing train tunnels under the East River; and major renovations to Harold Interlocking, an above-ground train yard and interlocking in Queens used 24/7, which happens to be the busiest railway junction in the country (and, with 780 trains per day from Amtrak, LIRR, NJ Transit, and New York & Atlantic Railroad, it is the busiest passenger rail interlocking in North America). In addition, the project ties into extremely active existing infrastructure and public functions. Work is taking place in multiple locations in Manhattan, Queens, and the Bronx, and, while it encompasses four-and-a-half route miles total (three in Manhattan, one-and-a-half in Queens), it requires more than eight miles of tunneling, including connections to the existing 63rd Street tunnel under the East River in a one-mile dig-and-blasting effort that will remove nearly 400,000 cubic yards of rock. The Manhattan tunnels were excavated between 80 and 140 feet down, while the Queens tunnels were excavated between the surface and 90 feet down. Work in Queens will also include the construction of a new passenger station in Sunnyside, train storage facilities, 50,000 linear feet of track, and systems components such as signals, communications, power, and security. The scope of the project is so large, it requires 25 construction contracts. As BIM Manager for the effort since 2012, LiRo VDCO has been providing 4D scheduling, logistics, and constructability coordination to MTACC, which acts as an owner for the project. The team has successfully implemented BIM into this colossal project to analyze, visualize, and communicate project geometry, data, and workflows. To date, VDCO has modeled the project in its entirety, and is now using the resulting BIM resources to create visualizations, to coordinate and record laser scans for better as-built survey documentation, and to enhance construction tracking and logistics workflows as well as asset management processes. The VDCO team’s work has revolutionized the way the project’s stakeholders understand this massive undertaking and make decisions on its myriad interrelated components, not to mention how VDCO’s efforts have greatly enhanced the level of collaboration among all parties involved in East Side Access construction. In addition to MTACC, The LiRo Group, and Jacobs, the East Side Access project team includes structural engineer and architect AECOM, project engineer GEC (WSP, STV, and AECOM joint venture), structural engineer and architect B Thayer Associates, tunnel designer Gall Zeidler Consultants, and land surveyor Maser Consulting. The general contractors include Tudor Perini; Schiavone Construction Co., LLC; Michels Corporation; and Yonkers Contracting Company, Inc.